Learning and inspiration comes from a variety of sources in life. Connecting to community is an integral part of a child's journey in understanding the world and its diversity. The abundance of expertise on the Mid North Coast is astounding. While many aim to be generous with their time to support the children, we in turn aim to support the artists, musicians, cultural leaders, therapists and the many talents that will work with us, to ensure continuity. Alithia Learning will work hard to find grants from government, corporate and philanthropic organisations to bring in mentors to work with children. We welcome sponsor for a mentor of you choice. As an example, here is a showcase of mentors who feel passionate about working at Alithia Learning. Paul Jarman is a widely acclaimed Australian composer, performer, musical director and educator. Paul is most well known as a lyricist and composer of choral music, a world music multi instrumentalist, and a facilitator of community inspired collaborations. As a cultural ambassador he has performed extensively throughout Australia, Europe, Asia, North America, the Middle East and the Pacific with theatre productions, dance ensembles, Aboriginal-Anglo Celtic performance groups, choirs and orchestras; in festivals, special events, schools and towns as a conductor and musical director, and a member of Australia’s iconic first ‘world music’ ensemble Sirocco since 1996 representing Australia in Pakistan, India, Taiwan, Nepal, Sri Lanka, Malaysia, Laos, Vietnam, Singapore and the Philippines for the Department of Foreign Affairs and Musica Viva. Paul plays western instruments including the piano, clarinet, harmonica and saxophone but specialises in ethnic wind instruments including Irish whistle, bagpipes, zurna, Chinese flutes, jaws harps and harmonic singing. He has performed on a variety of Australian feature films, documentaries, commercials and IMAX productions and composed the music for several award winning adventure films with the renowned filmmaker Mike Dillon. Claire Dunn is a writer, educator, Rewilding facilitator and barefoot explorer. Claire worked for many years as an environmental campaigner, before studying deep ecology with Joanna Macy, eco-psychology, and wilderness survival skills. In 2010, Claire embarked on a year of bush retreat. Her recent book My Year Without Matches: Escaping the City in search of the Wild is the best-selling memoir of that journey, Claire is currently working on another memoir, this time exploring wildness in the urban landscape. Claire is a passionate advocate for ‘rewilding’ our inner and outer landscapes. She facilitates nature-based reconnection retreats, contemporary wilderness rites of passage and offers individual mentoring. Ruth Nolan is a Creative Arts Therapist with a Masters degree from MIECAT (Melbourne Institute of Experiential Creative and Arts Therapy). She is a counsellor and therapist in private practice and facilitates Collaborative Innovation Facilitator Training workshops (communication tools for the private and public sectors), singing workshops and pottery / art classes. She is a published author contributing chapters such as ‘Embodying Creativity’ and ‘Synectics and Parenting’ to Synectics publications ‘Re-inventing Education’ and ‘Imagine That!’. Ruth facilitates Women at the Well (Creative Arts Therapy group work) in a variety of settings at retreats and weekly programs, including for Aboriginal Elder Women (Gudhur Galban), Women’s Refuges and mothers with young children. Ruth is also the author of ‘The Octopus’s Garden’ a program for 4-7 year olds. She works from a ‘Trauma Informed’ Biopsychosocial perspective using understandings from the Neurosequential model attending to insults to brain development and neurogenesis. Ruth is the author and facilitator of training for psychologists and clinical psychologists conducted for North Coast Medicare Local in Coffs Harbour and Port Macquarie. In addition, Ruth has worked in Adult Ed and TAFE teaching pottery. Chels holds a Masters in Marine Science and Management, a Bachelors of Applied Science (Wildlife Management an Ecology) and an Associate Degree of Applied science (Cultural Heritage Management), as well as TAFE certifications in Design and Photography. She is currently completing a Phd in International Relations. Chels is a leading Indigenous Ecologist in Cultural Landscape Management and Design. Chels has over 27 years of professional experience in cultural ecology & environmental planning, design and management within government agencies, research institutes, Indigenous communities, environmental consulting companies and industry. Chels is also a Gumbaynggirr designer and artist with over 20 years experience of artistic expression through exhibiting and production of cultural displays, interpretation and design. Chels has worked in schools merging her scientific knowledge of the environment and sustainability with her cultural and artistic expertise. Chels is the director of Flying Fish Blue which is a company that promotes and delivers sustainable, ecological, and culturally aware products and services. Chels is responsible for designing, developing and managing bottom-line enterprises, that incorporate indignous principles; producing environmentally, socially, economically and spiritually sound products. Erin is an educator, a mother of three and the founder of Nature Play Academy. With seven years experience in the field of education Erin brings her knowledge of child development, play, curriculum design and early nature connection activities to Alithia. Erin will be co-facilitate with Mark, who brings his play therapy training to the workshops to guide children through big emotions and ensure holistic development. Erin prides herself on her natural ability to relate to children, she is a passionate advocate for children’s rights to play in nature and an experienced outdoor educator. Nature Play Academy’s unique approach is focused on child directed play; the workshops provide children with a variety of opportunities to make discoveries, lead an experience in nature and build resilience. These creative play programs empower confidence and connection in nature. Director Nancy Sposato has been engaged as a performer, physical theatre director and educator for over two decades. As a performer Sposato has toured nationally and across the globe, performing extensively over the years with Strange Fruit, Melbourne Playback Theatre Company among multiple collaborations with independent artists. 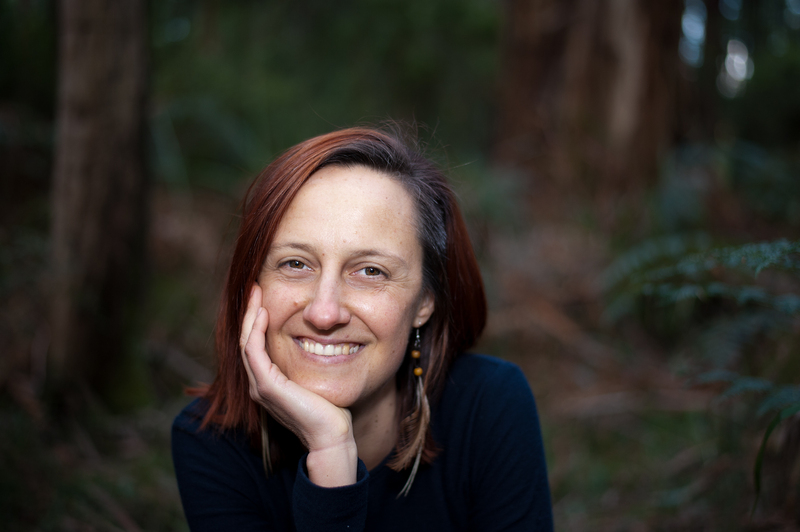 Sposato’s relocation to Nambucca Heads on the Mid North Coast of NSW has enabled her to expand into creative consultancy for business and community organisations from community theatre ensembles to large scale social change campaigns. Sposato's work includes Live Art (developing mixed media works in collaboration with Australian and International independent artists) and Arts-Education (facilitating tailored creative workshops for all ages in both community and corporate sectors specialising in the performing arts). For her latest work of Theatrical play for children and families, please see The Ballroom. Michael acquired his teaching degree from the University of New England, Armidale, and completed his Masters in Indigenous Languages Education at the University of Sydney. He has been employed by the NSW Department of Education, Board of Studies and various language organisations to demonstrate his language teaching skills. Michael strongly believes in keeping his language and culture alive and proudly teaches anyone who wants to learn. Michael is a language and culture teacher at the Muurrbay Language Centre, a Consultant Community Trainer with RNLD, and works across various schools, TAFES and universities. Aunty Shaa is a Gumbaynggirr elder, artist, story keeper and a teacher of culture and language. With over 20 years of working with schools, community groups and running workshops, Aunty Shaa is able to share the wisdom of ancient Gumbaynggirr dreaming and help others to experience a story and find their place in it; through that connection they connect with the spirit of the country. A doorway is opened into indigenous cultural and traditions through walks, ceremony, cultural activities, arts and story. Aunty Shaa is the director of Yandaara (partners with The Jaliigirr Biodiversity Alliance), along with her daughter, Neeyan Smith. This research project builds a better understanding of Gumbaynggirr-led caring for country and how that might be practiced today. Aunty Shaa is also the chairperson of Muurrabay Language and Culture Center, which teaches language (for schools and community), develops teaching resources and has published Gumbaynggirr dictionary-grammar and dreaming stories in language. Aunty Shaa provided artworks for these publications and for Muurrabay , as well as commissioned work in various venues. Her vision is to use Gumbaynggirr dreaming as a key to open up holistic ways of being, knowing and learning. Bonnie Nilsson is a fully qualified and accomplished Music Therapist/Music Teacher and an experienced Piano Tutor and Vocal Coach. More recently Bonnie has participated in Choir Conductor roles, establishing a Junior Choir on the Mid North Coast of NSW. Bonnie has 10 years experience in the field of Music Therapy and in particular specialising in paediatrics. As an experienced musician she not only performed professionally, but has managed the Senior Music Therapist Department at The Children’s Hospital, and lectured at the University of Western Sydney. Bonnie is also a public relations advocate for Music Therapy. Bonnie has taught from both the AMEB Piano for leisure syllabus and Classical piano syllabuses as well as Theory and Musicianship. Bonnie has passed AMEB exams on Piano and Trumpet, studied Jazz Vocals and Classical Piano at the Western Australian Academy of Performing Arts and has sound guitar skills. As a teacher she continually aims to inspire students with a diverse range of musical experiences. Growing up in Wiradjuri country Bonnie’s family has been involved in indigenous health and agricultural pursuits with many connections still existing to the community. Bonnie has been influenced by a wide range of musicians and has worked with some of the most noted organisations and individuals in this country such as The Australian Youth Orchestra, Musica Viva, The Sydney Symphony Orchestra, Tim Freedman, Jimmy Barnes, Jenny Morris and Mark Lizotte. She has performed her own original material at Folk and World Music Festivals including the Illawarra Folk Festival and the Blue Mountains Roots and Blues festival. Bonnie’s Graduate studies in the field of Music Therapy has greatly influenced and affected her approach as a music teacher. She has a great rapport with children and has created an atmosphere of excellence in her Choir work of recent times. In the last five years, Bonnie has been collaborating with Australian composer Paul Jarman producing over 20 new Choral works that have been performed and recorded by choirs including Gondwana Voices, Voices of Birralee, Hunter Singers Newcastle, Crescendo Choir Devonport and the South Australian Primary Schools Festival of Music. Tammy is a qualified and experienced educator (with additional qualifications in Drama). Tammy led Family Intervention Programs, Siblings Groups and Consultancy Services at Autism Queensland and was an Advisory Visiting Teacher for Education Queensland providing training for teachers before establishing her own consultancy business, ASD Approaches in 2015 and becoming an Early Intervention Service Provider as part of the Helping Children with Autism (HCWA) Package from 2016-2018, an Initiative from the Australian Government, Department of Social Services. Following 18+ years working with parents, educators and children with “challenging behaviours” Tammy recently closed ASD Approaches and founded Doing What Works, to share a method which she has been using, with success, since 2004. Now instead of giving strategies, Tammy facilitates a process that leads individuals to find their own answers to life situations that create stress, so that inner peace can return. Tammy is an extraordinary facilitator who works with individuals, couples, children, teenagers, teachers, businessmen and women, providing them with this process of Self-Inquiry, to untangle difficulties in life for their peace of mind. Tammy’s genuine love for people is felt. She facilitates with compassion and understanding in private practice at Moonee Beach on the Mid-North Coast, NSW. Tammy has developed a program for Primary and Secondary students to manage their own wellbeing through Self-Inquiry. Tammy is passionate about bringing this simple, fun method into schools for children and teens to find their smile again, regardless of the obstacles they may face. Creating a culture of positive communication is at the core of Alithia Learning. The tools we use. Ready to join our community? Become a member today.